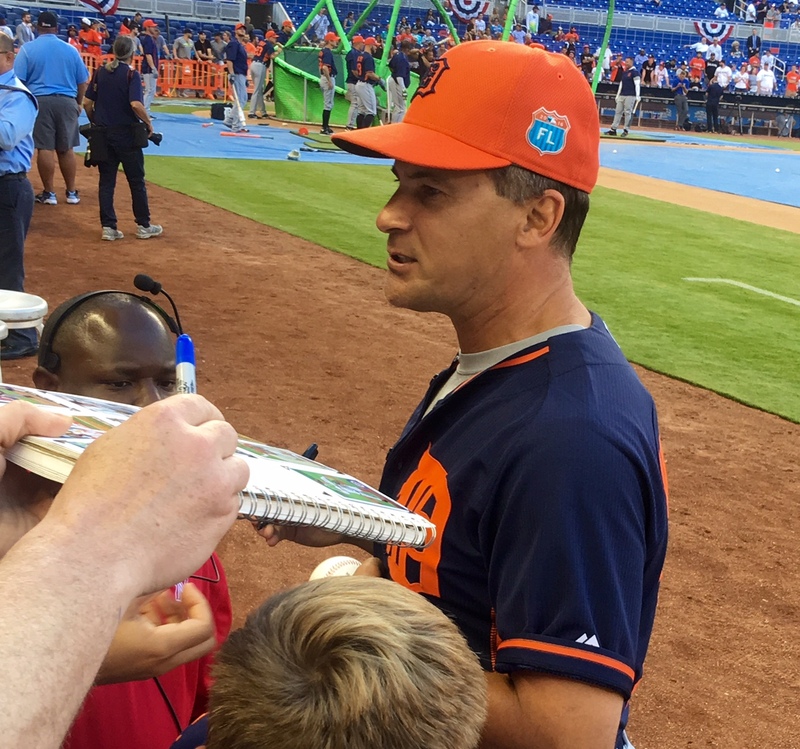 iFolloSports.com Michigan based correspondent Lance Martinez sent along this original photo of former MLB shortstop/current Tigers first base coach Omar Vizquel signing autographs. The shot was gathered at Marlins Park in Miami, prior to the Tigers vs. Marlins season opener. Vizquel is best known for his defensive wizardry, amid playing an incredible 23 seasons for 6 teams. The Venezuelan’s great defense resulted in a whopping 11 gold gloves and 3 All-Star appearances. The now 48-year-old has been a part of more double plays than any SS in MLB history. Vizquel was as good as there ever was with the glove! Tigers fans can also check out iFolloSports.com original video of Vizquel and Detroit superstar Miguel Cabrera appearing at an offseason event, a couple years back.